For the best in flight training, you’ve come to the right place. We share your passion for flight. Aptis Aviation’s commitment to quality instruction has created a legacy of outstanding students, and there’s no better way to find out why than to take one of our Introductory Flights. You’ll quickly become a knowledgeable, competent pilot with Aptis’s structured interactive instructional program. Our program offers the flexibility to meet your learning style. Stop by and talk to one of our outstanding instructors and begin your journey of becoming a pilot. See if flying really is for you. Experience first hand what it takes to be a pilot. You'll actually get to fly one of our Cessna 172 airplanes. This will be a great opportunity for you and your instructor to get to know each other and make sure we he understands your learning style. Your instructor will review our Private Pilot Course with you and give you the details about costs, scheduling, and set expectations for the course. You'll get signed up on our cloud-based scheduling software and be able to start scheduling lessons at your convenience. You've done it! You've completed your training and your instructor thinks you are ready for your checkride. The checkride consists of a verbal and practical tests given by an FAA Designated Examiner. The training you've received will leave you well prepared for these tests. What better place to go from the Minute Man airport than one of the most famous airports in the world – Martha’s Vineyard Airport. Your Aptis Instructor will take you through the wide world of aviation showing you things like: how an airplane works, a hands-on approach to how a wing keeps airplanes in the air and why you see contrails in the sky in the same place day after day. Aptis’s most economical aviation experience, makes the world of aviation accessible to nearly everyone. Perfect as a brief adventure or a first-step for a budding aviator. Obtaining your Private Pilots License is your first step joining the ranks of the pilot community. The Aptis Private Pilot Training Program provides all of the knowledge and skill you will need to become a safe and competent pilot. The program includes all the ground and flight instruction you’ll need to pass the FAA exams. If you have never flown in a single engine GA (general aviation) airplane before we highly recommend you try one of our Introductory Flights before committing to your training program. Your Introductory Flight will include ground instruction from one of our Certified Flight Instructors (CFI) and an actual flight where the instructor will let you fly the airplane! We’re confident this experience will get you hooked on becoming a pilot. Once you’ve made the decision to start your training you will be matched with a CFI that best suits your learning needs. We encourage our students to talk with their instructor and discuss learning styles and expectations. Having a comfortable, open relationship with your instructor is key to a successful training program. A few basic questions most students ask are “What’s required to get your pilots license?”, “How much does it cost?”, and “How long will it take?”. We try to address those question below and give you some tips on how to increase your chances of a successful training program. 3 hours of instruction in preparation for the FAA practical test. at least 10 hours of solo flight, including 5 hours of cross-country flight (two flights). Despite these minimums, most new pilots require more experience to be safe and competent. The national average for Private Pilots is about 50-60 hours total flight time, including about 30-40 hours of dual instruction. Training to become a private pilot doesn’t actually take a lot of time or money. Aptis students earn their wings on average within 50 hours of training and a total cost under $9,000. Training at Aptis has shown less training hours because of the rapid departure as compared to other high traffic airports. Please ask us about our Training Financing. Gain the required knowledge to pass the FAA private pilot written test with minimum score of 70 percent. 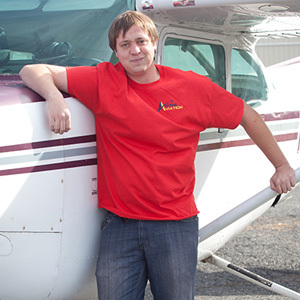 Expose prospective and active students to the world of general aviation. To expose students to the opportunities within aviation, including pleasure flying, business flying and aviation careers. To educate students on how to prepare for flight in the Visual Flight Environment. To prepare the students to pass the Practical Test Oral Exam. This course is designed to help students increase their knowledge of and prepare for flight in the Visual Aviation Environment. Upon completion of the 12 week course, the student will receive the required knowledge to operate in the flight environment and to take the Private Pilot Written Exam. How many times have you had to cancel your flight due to low ceilings or poor visibility? Have you ever had to delay a return trip because weather? Have you been frustrated because you know great flying weather exists just above a low overcast sky? These problems would be non-issues if you just had Instrument Rating. 3 hours of instrument flight in preparation for the FAA practical test. If you already hold a Private Pilot certificate, and you’re ready to move into commercial aviation or just want to hone your flying skills even further, then our Commercial Pilot Certificate (Airplane Single Engine Land) program is for you. This program is taught in the Cessna 172RG Cutless, and includes the Complex endorsement if you don’t already hold it. 10 hours of instrument training (at least 5 of which must be in a single-engine airplane). 10 hours of training in a complex airplane (that is, with a constant speed propeller, flaps and retractable landing gear). 3 hours of dual instruction in preparation for the practical test. One dual day VFR cross-country flight of at least 2 hours with a straight line distance of more than 100 nm from the departure point. One dual night VFR cross-country flight of at least 2 hours with a straight line distance of more than 100 nm from the departure point. One cross-country of at least 300 nm total distance with landings at least at three points, one of which is at least 250 nm straight line distance from the departure point. 5 hours in night VFR conditions with at least 10 take-offs and landings at an airport with an operating control tower. Note that flying experience you have before beginning the Commercial Pilot course may count toward the required flight times. For example, if you hold an Instrument Airplane rating, you will already have met the Commercial Pilot requirement for instrument training. A complex airplane is any airplane with retractable gear, constant speed prop, & flaps. Getting your Complex Endorsement will allow you to fly a wider variety of airplanes. A tailwheel endorsement will be a great way to sharpen your pilot skills. Tailwheel aircrafts are perfect for a pilot with an adventurous side due to the fact they work well with grass strip landings. Jake is the co-owner of Aptis Aviation. 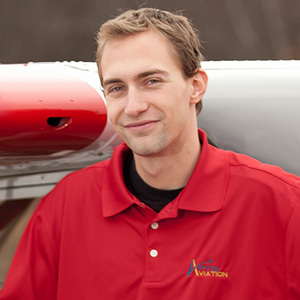 Jake has been an active pilot since 2010 with an instrument rating. Jake owns a Diamond DA-40 with 3 friends and fly’s it approximately 80-100 hours a year. When Jake is not at Aptis Aviation he is spending time with his wife, Ashley, and their two dogs Drake and Bentley. Besides flying Jake enjoys hunting, fishing and shooting. Jake and his family live in Marlborough, MA. 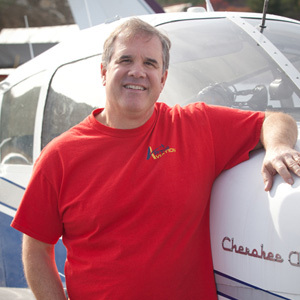 Rich is an avid pilot and the co-owner of Aptis Aviation. Like so many pilots Rich started his training in his mid-twenties but due to work and family obligations didn’t finish until his late forties. He is an instrument rated pilot who just started his training for his Commercial Rating. Rich volunteers his plane and time for Angel Flight, Patient Airlift Services, and Young Eagles. Rich graduated from Northeastern University & WPI with degrees in Electrical Engineering. He has started numerous high-tech companies and is still active in that field. Rich and his family live in Boston, MA. I did all my flight training at Delta Connection Academy in Sanford Fl. (now known as Aerosim), earning my CFII in about 250hrs. KSFB is a large international airport so I’m very familiar dealing with heavy traffic, controlled airspace and large aircraft. Most of my time is logged in a Cirrus SR-20, which is a technically advanced aircraft with a glass cockpit. I have been teaching at Minute Man Air Field for 3 years now and have had the pleasure of seeing many of my students become private pilots. I enjoy teaching in a part 61 environment which gives more flexibility with the students than the 141 school that I attended. Devan knew he wanted to fly since he was very young. His dream came true when he was 14, he was given the opportunity to learn how to fly gliders. Soloing quickly and obtaining his private pilot rating on his 16th birthday, he then transitioned to single engine aircraft. Over the next three years Devan flew over 750 hours, flying with friends for fun and with instructors for training. Obtaining his instrument rating, commercial rating, and flight instructor rating and beginning his career as a flight instructor at age 19. 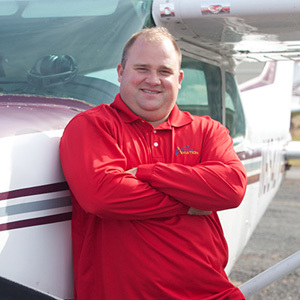 Now, after years teaching others about his passion and love for flying, Devan has had the pleasure of helping dozens of students obtain their Private, Instrument, Commercial, and CFI ratings. Devan currently holds an ATP rating, with additional Commercial Glider and Sea-plane privileges. He also has a Gold Seal CFI, and has over 4300 hours of flight time. Devan works as the Chief Pilot for Aptis Aviation and also flies part 135 on demand operations for a Charter company in his spare time.